Curtis will oversee all programming content and leading the Irish team in the development of the new channel across all platforms. 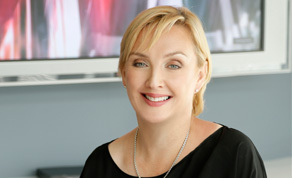 Mary has well-established television credentials and senior management experience most recently as Director of Digital Switchover with additional responsibility for RTE Television's digital strategy. She was previously Deputy Director for Television Programmes, RTE with responsibility for commissioning and programming. As a member of the board of directors of RTE Television, Mary directed the strategic review of RTE’s full portfolio of services in 2013. Mary left RTE in September 2013 to set up a consultancy advising state bodies and businesses on public affairs and public information.